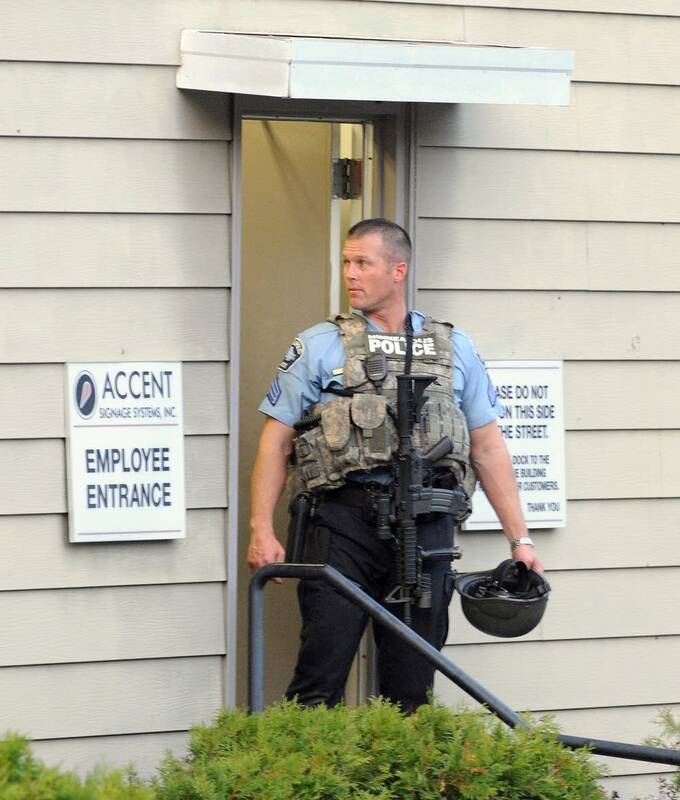 A sixth victim of the Sept. 27 mass shooting at Accent Signage Systems in Minneapolis has died from his injuries. Eric Rivers, 42, of St. Paul had been in critical condition at Hennepin County Medical Center since the incident. His family announced his death in a statement, saying he "passed away peacefully" at the hospital Wednesday night. Rivers worked as a production manager at Accent Signage Systems, located in the Bryn Mawr neighborhood of Minneapolis. Rivers' death makes him the sixth victim to die from the attack. Two other people were wounded in the shooting rampage but survived. At the end of the attack, the gunman, Andrew Engeldinger, turned his weapon on himself. A colleague at Accent Signage, Bill Sullivan, called Rivers an outstanding colleague. "You could go to him with anything you needed and start a conversation with him anytime you wanted," he said. Rivers' Facebook page shows photos of him with a wife and two children. Sullivan said his heart goes out to Rivers' family. "He was a great guy to be around and always fun to talk to. He had great stories. He's definitely going to be truly missed," said Sullivan. According to police reports, Rivers and another employee were working in a production area near the loading dock when Engeldinger began shooting at them. The other employee, who survived, told police Rivers was shot three times. Police reports say one of the bullets hit the main artery in Rivers' leg, causing him to lose a great deal of blood. Just before the shooting, Accent Signage officials had fired Engeldinger for lateness and poor performance. He killed the company's founder, three other Accent employees and a UPS driver before taking his own life. Accent Signage Systems released a statement saying the company mourns the death of a "dear friend and colleague" after "the senseless, violent act that took the lives of five other colleagues and friends." An Accent Signage spokeswoman declined to comment further, saying the company's staff is focusing on getting back to work. A person who answered the phone at the home of Rivers' mother in Alabama told MPR funeral arrangements are pending.